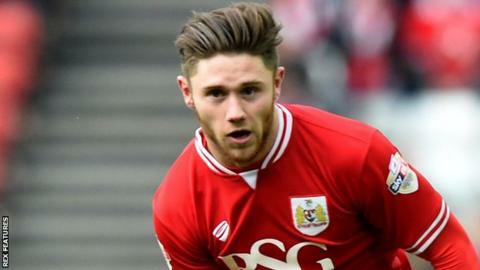 League One side Fleetwood Town have signed Bristol City striker Wes Burns on a youth loan deal until 8 May. Wales Under-21 international Burns has scored one goal in 17 appearances for the Robins this season, but has started in only three games. The 21-year-old has previously had loan spells with Forest Green Rovers, Oxford United and Cheltenham Town. Burns could make his Fleetwood debut in the League One game against Scunthorpe United on Saturday.